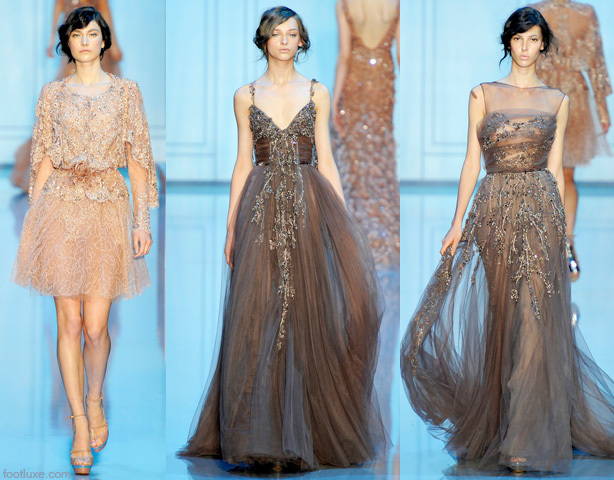 There’s only one word to describe Elie Saab’s collection: BREATHTAKING. 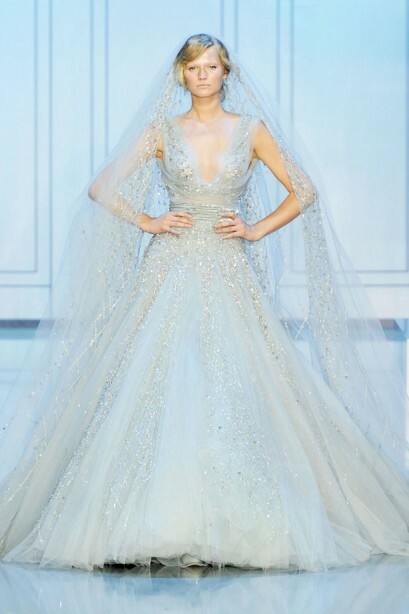 I’ve totally fallen in love with all the way he use fabric – appliques of tulle and velvet & the sparkling beads and crystal embelishments – he really knows how to dress a woman! 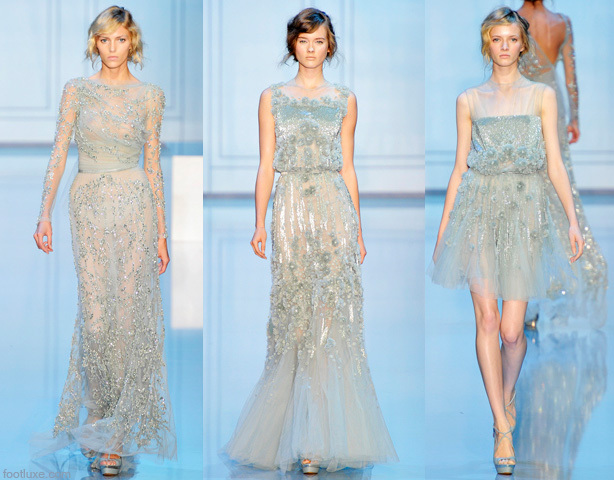 This year’s fall/winter collection features a palette of ivory, aqua marine, dark brown & dark navy blue. I’d die to get to wear one of his creations! Nevertheless, you can always show these to your tailor friend & have it customized to your body shape & budget needs…agree? If there’s a will there’s a way! Who says beautiful can’t be cheap? Yes, you read it right! This amazing dress is just a whopping FIVE DOLLARS! Angie, the bride, found her dress at a local recycling shop where you pay by weight. The medal was designed by Angie & her friend. You can check out more details on Angie & Tyson’s stylish DIY wedding here.